The Applied Computer Science faculty educates ICT specialists, computer system designers and administrators at undergraduate level. A practical approach to teaching is reflected in practice-oriented courses. You will study fundamental topics of computer science, among others: Discrete Mathematics, Algorithms and Programming, Operating Systems and Computer Networks, Data Bases and Software Engineering, Architecture of Computer and Embedded Systems, Computer Graphics and Human-Computer Interaction, and Artificial Intelligence. According to job market analysis number of job positions for software engineers and network specialists is on the top, among others, in IT. Moreover, salary of these specialists is also one of the highest in IT. For example, salary of Network Manager is £45,090 per year in UK and Software Engineer salary is £43,020 per year. there is an ability to take Cisco, Microsoft and Oracle extra courses. Nowadays, the sector of modern business support services employs more than 150,000 specialists in Poland. It is anticipated that by the year 2020 the number of vacancies will have risen by 100,000 employees. Thanks to this, Poland is ranked third in the whole world and first in Europe in this sector of business. Graduates most in demand are those whose level of English, German, French, Scandinavian or other European languages is B2 at least, as well as those who have knowledge in the fields of finance, accounting, customer service, IT or HR. The investment offers of the City of Rzeszow tailored to the needs of companies from the sector of modern business support services is of high interest among new investors. Complex activities, whose aim is to develop the sector of modern business support services in Rzeszow, carried out by the authorities of the city of Rzeszow, were noticed and awarded at the Gala of CEE Shared Services and Outsourcing Awards 2015 by international jury, whose members were directors and managers of such large-scale enterprises as: Skanska, Deloitte, PwC, Aspire or Vastint. The city of Rzeszow received the first prize in the category: “The Rising Star of Outsourcing in Poland in 2015”. This specialization is based on IT community Cisco CCNA Routing and Switching courses. By choosing this program you will finish all four CCNA courses required for taking the CCNA Routing and Switching certification exam. The certificate is a gate to your future career in networking. Apart from that, you will take courses in e-business and e-services. 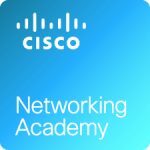 The Cisco Networking Academy at UITM is one of the first academies in Poland with very experienced instructors. The program is based on gaining two basic skills: programming – in most popular languages currently used in IT – and software designing, which is developed in such subjects as software engineering, requirements engineering and case tools methodology. Thanks to these courses students not only gain these two particular skills, but also learn fundamentals for further study related to rapidly changing programming technologies. Computer graphics has become extremely important technology in entertainment, business, culture, industry and other fields. The demand for computer graphics specialists is still growing in many countries worldwide. The program focuses on 2D raster and vector graphics, as well as, more advanced skills, such as 3D designing, animation, video, post production and special effects. Only 1500 Euro per semester – one of the lowest tuition fees in EU! A candidate is required to pay 3150 Euro in one installment in advance. The above payment does not include the accommodation and living costs! UITM offers Scholarships to the best International Students! If you don’t know how and where to start, we’ll give you a hand. Thanks to your study at UITM you will get experience essential for your future career.